I just finished your book. Wow it's a ........words fail me. I am so moved. I gave a copy of your book to my friend. She has chronic pain, and loves Jesus as her savior. She was so impressed with your book (she read it in one day, and if you knew her, you would be impressed. She doesn't like to read) so much so that she is ordering more copies to send to her daughter, and other friends. 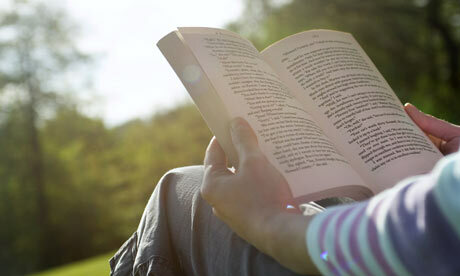 I've given your book to my girlfriend whose husband has chronic pain, and to my therapist. He said it would help some of his clients, and was pleased I gave him a copy and told him how to get more. I'm so thrilled to be able to pass this book to others who need to hear what you have to say about living with chronic pain. I cannot put this book down! It is so humbling and you really make me see how badly I need to make God part of my daily life. It made me cry. I can't wait to tell people about it. Well done. This is a wonderful book that makes you feel that there is hope when you're dealing with chronic pain. It's hard when there are no outward appearances that you're in pain, but Jesus knows your pain and will help you get through this difficult time. Her book goes into how to do this; to rely on God for all our pain and suffering. She does a remarkable job in discussing what she went through and how she is able to get through her painful episodes with a sense of peace in God. Very easy reading and filled with scripture to refer to. 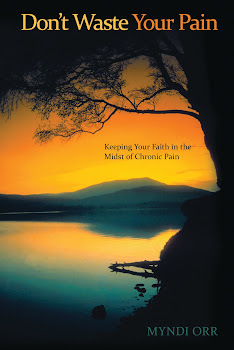 Very good book for someone who is going through difficulties with pain, or any kind of suffering. Loved your book. Want to get copies for friends that are dealing with pain. I finished it in one sitting. Couldn't put it down. Great job! Your book is wonderful! Just started reading and let's just say chapter four is almost history! Job well done! Just finished your book. So good. So much wisdom and strength you show. Such an inspiration and encouragement! The work God is doing is amazing! I just wanted to tell you that your book was awesome.It made me change the way I looked at the pain in my life not just the physical pain but also the emotional. It was great. I hate to read books even in school, I read the whole left behind series but since that ended really have not found anything that really called out to me until Monday when I received your book and I started reading it. All I can say more than anything is thank you very much, You truly are a Gift from God. I wished you did not have to go through what you are going through but God is using you! Another thing your book taught me that I was not blaming God for my Pain but I was not giving God Thanks and Praise for what I did have and found out that is more important in life. It has helped not just me but my wife and a couple of people she works with. At my wife's work works a couple of people have read your book and they have told her they loved it and they have gone out and bought it so they can take it home when they get out, also a co-workers daughter got into an accident and broke both legs and is in a nursing home and told her mom that the book is helping her get her life back together. Your book is a miracle to a lot of people up here Myndi it is a gift from God. Wow. I just finished your book. I am very impressed with the scripture you know and how you wrote this book. God sure is using you. Thank you for this! I bought this book and received it today and already read it. Myndi Orr is an inspiration to all who deal with pain on a daily basis. I am in ahh. What a blessing. It's a great book! Made me cry. It is a very great book. Well worth the read. She is such an inspiration!! I read the first chapter, and my initial impressions are that you write with an authentic and compassionate voice. I can hear your voice as I read your words, which is a spectacular feat! Thank you for writing your book!!! I am on chapter 7 and know that I will be reading it again and again. I love the way you write and make it like I am sitting in a room with you talking! And so easy to follow and understand. I read your book and it was a true inspiration! I read it at a time when I desperately was searching for a way out. What an inspiration your book was to me! Your book is great! Really well done! I couldn't put your book down! God obviously has used you to help others see the sufficiency of His grace. You certainly have not wasted your pain! Your book was such an inspiration to me and helped me to stop wasting my pain.